WELCOME to the 2019 ACENA CONFERENCE! Thank you for joining us for this important event! We are proud to convene hundreds of dedicated conductors and administrators from across the world to learn, connect, envision and build the future of the practice of Conductive Education. The conference aims to highlight how the discipline of Conductive Education is a holistic approach to intervention that bridges the gap between educational and therapy services. Please save the dates for the conference in your calendar. We hope to see you there! Aenean suscipit libero mauris, ac blandit urna laoreet non. Praesent diam urna suscipit libero mauris. Conductive Education (CE) is a unique teaching method that was developed in 1945 by a Hungarian doctor and educator named Andras Peto. Dr. Peto specifically designed this educational system for individuals with neuro-motor impairments such as Cerebral Palsy, Spina Bifida, Multiple Sclerosis and acquired brain injuries. He believed that motor control and coordination can be learned in order to improve the quality of life of people living with these challenges. This comprehensive approach uses active learning to reduce the physical effects of a disability. Conductive Education combines physical activities with cognitive tasks, emphasizes communication and takes place in a group setting to optimize active participation and social interaction. It focuses on the development of the person as a whole and utilizes a complex program to teach skills related to gross and fine motor movements, social participation, communication and activities of daily living. The overall goals of Conductive Education include increasing the quality of an individual’s motor function and providing participants with the confidence and problem solving skills needed to live as independently as possible within the greater community. Conductive Education has a global presence and has become increasingly popular in North America in the last 15 years. Currently, there are approximately 40 CE programs operating using various models throughout the continent. Its professionals, called Conductors or Conductive Education teachers, hold a minimum of a bachelor’s degree with specific training in this methodology. Many are also trained teachers who have chosen to specialize in working with individuals with physical disabilities. The 2019 ACENA Conference will be held at the Illinois Eye Institute, in Chicago, Illinois and is being hosted by ACENA and the Center For Independence Through Conductive Education. The Association for Conductive Education in North America (ACENA) is the representative of the programs and professionals providing Conductive Education services within the North American continent. ACENA acknowledges and promotes the practice of Conductive Education. 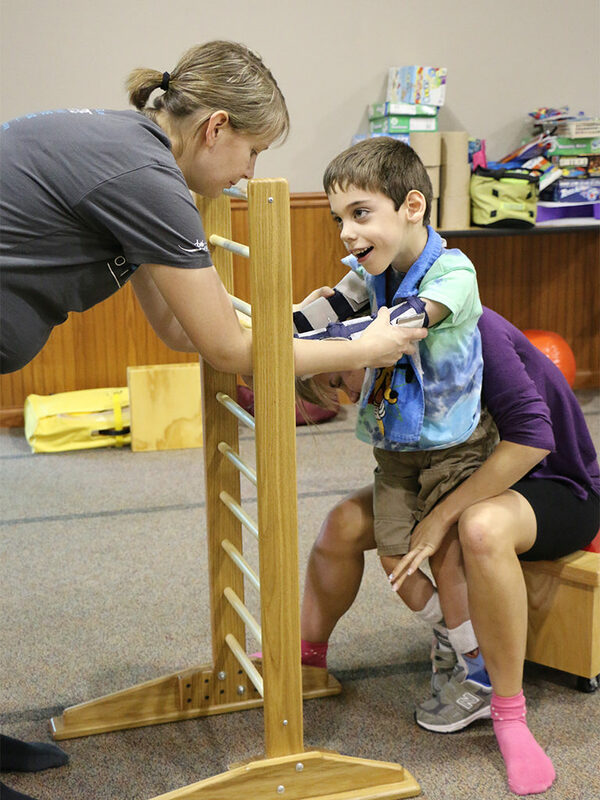 The Center helps children and adults with physical disabilities maximize their independence. We do this by offering Conductive Education programs that develop their motor functions in a manner that promotes positive self-direction, self-esteem and an “I Can!” attitude.